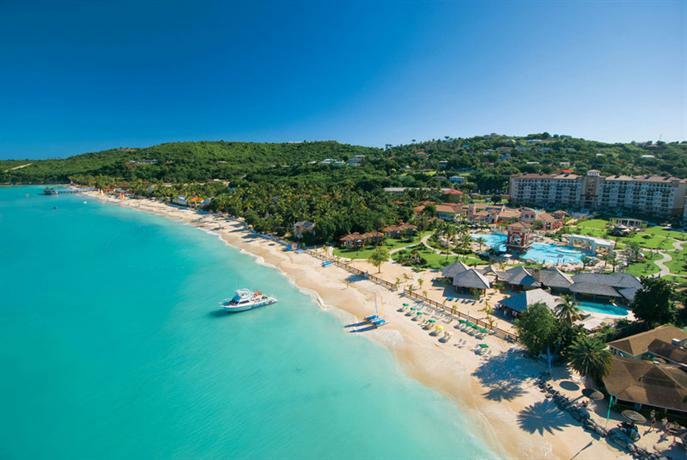 Antigua and Barbuda are nicknamed "Land of 365 beaches" due to the beaches that surround the two islands. Officially 230 V 60 Hz. Most outlets are the standard British type. Generally speaking, U.S. and Canadian travellers should pack adapters for these outlets if they plan to use North American electrical equipment in Antigua & Barbuda. Contact your hotel and ask to be sure. Many places are now built to North American standards. Also in use are non-grounded North American outlets. These require an adapter to work with plugs that have the third grounding plug. Older North American outlets may not be polarized (with one slot wider than the other). Adapters are available which accept a polarized plug and adapt it for use with a non-polarized outlet. See the electrical systems article for more information. Citizens of the following countries may also enter without a visa: Albania, Argentina, Armenia, Australia, Azerbaijan, Bahamas, Barbados, Belarus, Belize, Botswana, Brazil, Brunei, Canada, Chile, China, Cuba, Dominica, Eswatini, Fiji, Georgia, Grenada, Guyana, Hong Kong, Jamaica, Japan, Kazakhstan, Kenya, Kiribati, Kyrgyzstan, Lesotho, Liechtenstein, Macau, Malaysia, Malawi, Maldives, Mauritius, Mexico, Moldova, Monaco, Namibia, New Zealand, Nauru, Norway, Papua New Guinea, Peru, Russia, Saint Kitts and Nevis, Saint Lucia, Saint Vincent and the Grenadines, Samoa, Seychelles, Singapore, Solomon Islands, South Africa, South Korea, Suriname, Switzerland, Tajikistan, Tanzania, Tonga, Trinidad and Tobago, Tuvalu, Turkey, Turkmenistan, Uganda, Ukraine, United States, Uzbekistan, Vanuatu, Venezuela, Zimbabwe, and citizens of British Overseas Territories. V.C. Bird International, (ANU IATA) located in north eastern Antigua on the outskirts of St John's, is the country's main international airport. The airport serves flights into the United States, Canada, Europe and other Caribbean islands. Yacht charters offer another alternative in and around the islands. 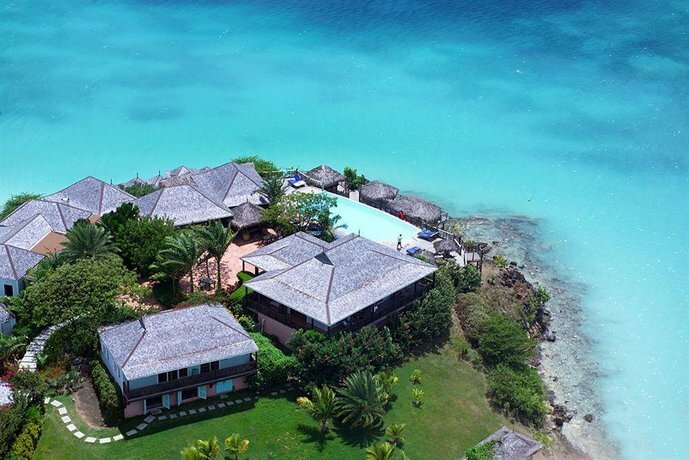 There are a variety of companies that service this area including Worldwide Boat and Windward Islands, both of which offer crewed, luxury yacht charters of Antigua and Barbuda. Barbuda Express runs ferries between Barbuda and Antigua. There are various car rental agencies, so they're unlikely to be hard to find. Mount Obama, previously known as "Boggy Peak" the nation's highest point and a national park named for U.S. President Barack Obama on his 48th birthday in 2009. The currency of the country is the East Caribbean dollar, denoted by the symbol: "$" or "EC$" (ISO currency code: XCD), which is also used by seven other island nations in the Caribbean. The EC dollar is subdivided into 100 cents. It is pegged to the United States dollar at an exchange rate of US$1 = EC$2.70. Coins circulate in denominations of 1, 2, 5, 10 and 25 cents and 1 dollar. Banknotes circulate in denominations of 10, 20, 50, and 100 dollars. Learn about local heritage and culture. Learn a bit of dialect along the way. Buy a copy of the local newspaper The Observer: they have a nice cartoon in local creole which helps with the interesting Antiguan dialect. Working longer than three months requires an official working license, to be filed with the employer. The employer also has to pay for it. There might be good jobs at the tourism sector and the entertainment industry (especially on-line casinos and sports betting). Dinner will typically be rice, macaroni or pasta, vegetables/salad, a main course (fish, chicken, pork, beef, etc.) and a side dish like macaroni pie, scalloped potatoes or plantains. Harmony Hall, near Freetown. It closes for the summer on May 6. 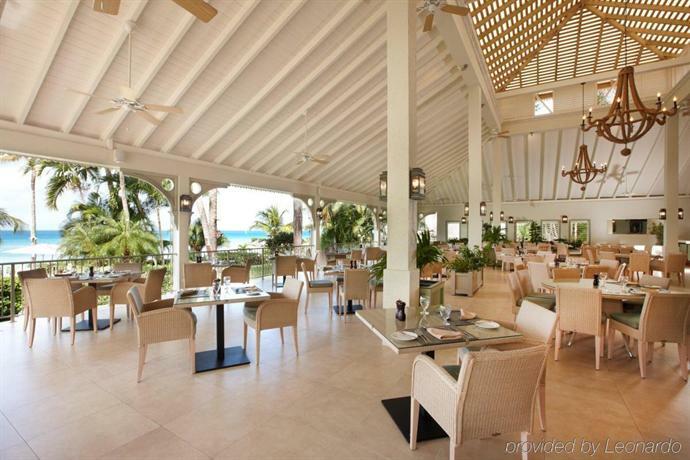 The best restaurant on the island. The Roti King, corner of St Mary's Street and Corn Alley, St John's. Serves Roti, which is an East Indian dish of rolled Indian flat bread filled with hot and spicy curries and tamarind sauce. The only American fast food chains operating on Antigua are KFC, Burger King and Subway, all with two locations in and out of St. John's . 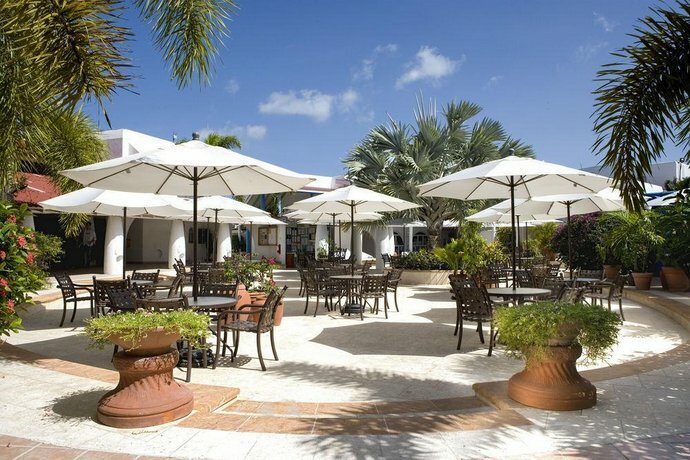 There are many hotels resorts and other kinds in Antigua so finding one should not cause too much of a hassle. 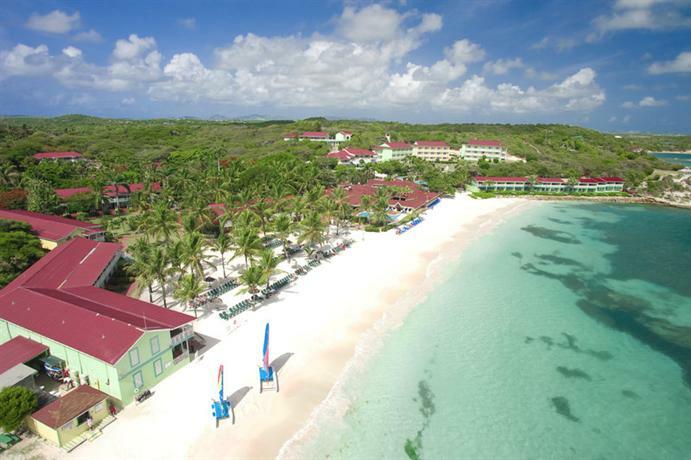 Though Antigua is generally a safe place, secure your purses and wallets. Walk only with the necessary money, avoid street urchins and vagrants and don't be afraid to ask for help. If you rent a car, park in a well-lit area. Homosexual acts between consenting adults are illegal in Antigua and Barbuda, punishable by 15 years' imprisonment. Discretion is advised for LGBT travelers. Tap water is generally drinkable, but people complain about the taste and it may upset your stomach at first if you're not used to it, so most visitors drink bottled water. Petty crime and armed assaults against tourists can occur and incidents sometimes involve firearms. Take necessary precautions and remain vigilant. Avoid deserted and unpatrolled beaches after dark. Check with local authorities to determine which beaches are safe. Do not carry large sums of cash or wear jewellery. Ensure valuables, passports and other travel documents are secure at all times. Medical facilities are adequate, but there is no decompression chamber available on the islands. Cases are referred to Guadeloupe or Saba. Clinics and hospitals may expect immediate cash payment for medical services. Civilians may not import camouflage material. It is an offence for civilians to dress in camouflage clothing or to carry items made of camouflage material. If planning to marry in Antigua and Barbuda, ensure that you meet all requirements before leaving Canada. Most countries require you to produce a certificate stating that there are no Canadian impediments to your marriage. You should arrange to obtain the certificate in Canada before your departure. 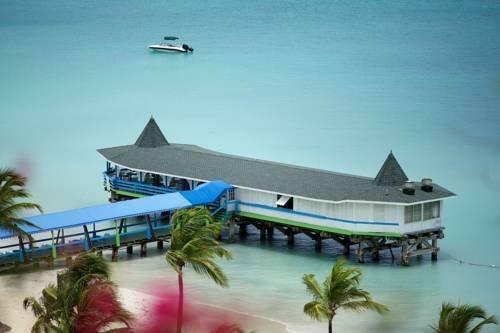 You must have a local driving permit to drive in Antigua and Barbuda. It can be obtained for 50EC$ at any car rental agency or police station upon presentation of a valid Canadian driver's licence. If you are interested in purchasing property or making other investments, seek legal advice from professionals in Canada and locally before making commitments. Disputes arising from such activities could be prolonged and costly to resolve. The currency is the East Caribbean dollar (XCD).